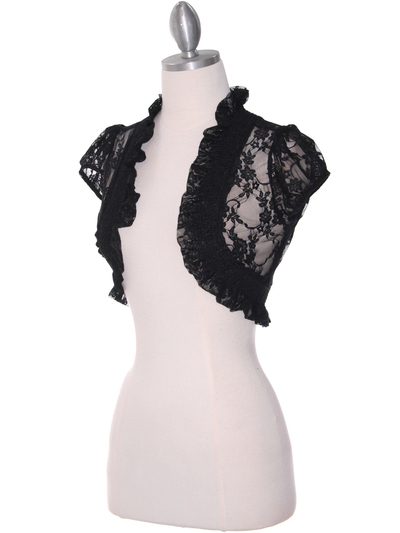 Black Lace Short Sleeve Bolero | Sung Boutique L.A. 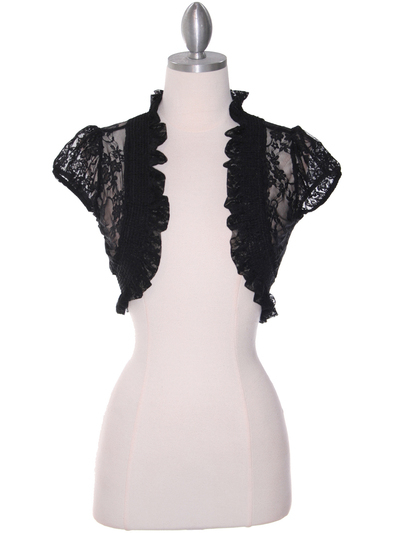 This fun and cute lace ruffled edge trim bolero with puffed sleeves is perfect for providing shoulder coverage for your evening or cocktail dresses. - 94% polyester 6% spandex.